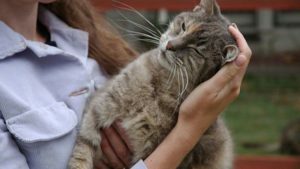 Many people think animal Reiki practice is only about connecting with animals. The truth is, because animals are so connected to their caregivers, it's important to find ways to include them in Reiki sessions too! Find out more in this special teleclass! Held at BrightHaven Holistic Animal Retreat in Santa Rosa, California, this class is for Level II Practitioners interested in learning to teach Reiki and Animal Reiki classes, and Level III Master Teachers interested in deepening their Reiki knowledge and/or adding an Animal Reiki program to their curriculum. Becoming a Shinpiden Level Practitioner is the beginning of a wonderful new chapter in your personal healing and in your journey with the animals. This class is unique in its emphasis on traditional Japanese Reiki techniques integrated into Animal Reiki practice. 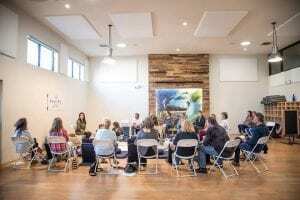 An intimate and interactive workshop about animal wellness, focused primarily toward dogs, led by two dynamic and seasoned teachers, in a brand-new healing center in San Diego. 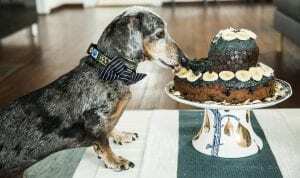 A fun, unique, inspiring online class combining two healing wisdom-traditions of the East (Ayurveda & Reiki) for a new blueprint to canine wellness. Presented by two expert educators, Amanda Ringnalda and Kathleen Prasad, bringing over 40 yrs of combined experience. 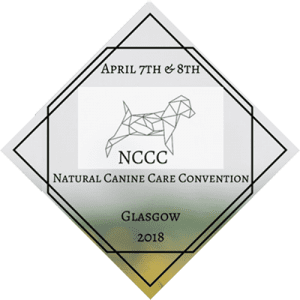 Don't miss this chance to meet with the pioneers of natural canine care, over one weekend, in Glasgow. Speakers, including Dr Karen Becker, Rodney Habib, Kathleen Prasad, Dr Isla Fishburn, Emma Rutherford, Wendy McGrandles MRCVS, Jo Rosie Haffenden and Alison McKinnon, will be presenting the latest research in integrative veterinary medicine, natural canine care, complementary therapies, interspecies behaviour and communication. Reignite your practice through an inspiring Reiki weekend with Kathleen and several other well-known Reiki teachers. 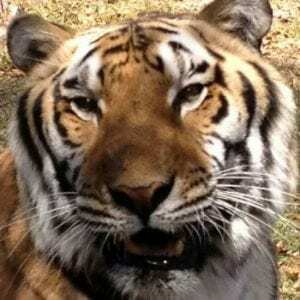 Kathleen will be giving a presentation, titled, "Heart to Heart Healing with Animal Reiki." In this presentation, you'll learn to heal and strengthen the animal/human bond through the peace and compassion of Animal Reiki. Kathleen will guide you through simple Animal Reiki meditations you can use to heal, heart to heart, with the animals you love. You'll also learn important guidelines and ethics for your approach so that you'll always be received well by your animal teachers! Meditating with animals can open the doors to our hearts so easily; when we invite animals into our Reiki practice, we can go much deeper into our spiritual journey than without them. This workshop will help you learn how to listen, for when we do, animals can teach us so much about healing and help us to uncover our bright light within. What better place to practice compassionate animal meditation than a farm sanctuary? Join Kathleen on beautiful Maui, the “Valley Isle,” as she speaks about her latest book on Animal Reiki Ethics, Healing Virtues. She’ll also lead a special healing circle dedicated to the farm animals of Leilani. There will be time for Q and A, and a limited number of books will be available for purchase ($15, cash only please). *Note: A limited number of spots for the 4pm Sanctuary Tour are available before the talk. Sign up now before they sell out: http://leilanifarmsanctuary.org/tour-the-sanctuary/ and then stay for our Reiki circle! 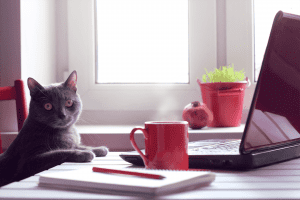 For students who have at least Level 1 Reiki and are interested in receiving an extremely in depth and practical foundation in Reiki with animals, this class is for you. 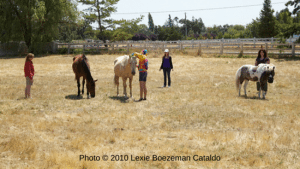 Join Kathleen for an inspiring day with the horse teachers of Cadence. Learn how to create a space of healing for your horse through Animal Reiki meditation practice. 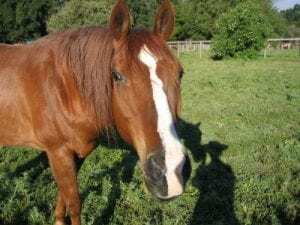 We will spend our time meditating and creating heart to heart healing connections with some very special resident horses. Sign up by May 22 to take advantage of early bird pricing. 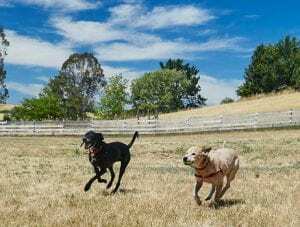 Reiki I will be taught at Lily’s Legacy Senior Dog Sanctuary, a volunteer run nonprofit organization based in Petaluma, CA. Founded in 2009, their mission is to provide a safe and loving home for senior large breed dogs who have been displaced from their homes and/or abandoned for any reason, until they are adopted or to remain at the sanctuary until they pass on. This class is for animal people who want to deepen their relationships with animals and learn practical ways to heal the animals in their lives. Most Reiki I classes focus on Reiki for people, but Kathleen’s class is unique in its emphasis on Reiki for both humans and animals. 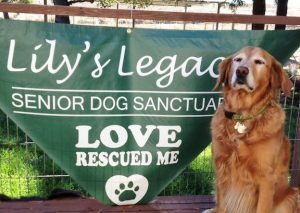 Reiki II will be taught at Lily's Legacy Senior Dog Sanctuary, a volunteer run nonprofit organization based in Petaluma, CA. Founded in 2009, their mission is to provide a safe and loving home for senior large breed dogs who have been displaced from their homes and/or abandoned for any reason, until they are adopted or to remain at the sanctuary until they pass on. This class focuses on the more advanced meditative and esoteric uses of Reiki. Most Reiki II classes focus on Reiki for people, but Kathleen's class is unique in its emphasis on Reiki for both humans and animals. Are you interested in bringing more awareness to how your own state of mind affects the animals you love? Are you interested in bringing more peace and balance to the lives of animals in your life while doing the same for yourself? Have you tried “energy-healing” modalities on animals with limited/mixed results? If any of these questions resonate, this course is for you! Can’t be there live? No problem – you’ll receive video and audio downloads! 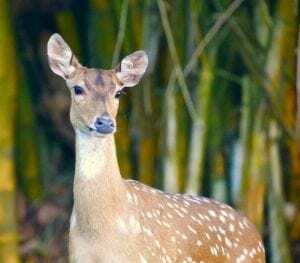 Kathleen Prasad created the Let Animals Lead™Method through over 2 decades of Reiki practice through her experiences with thousands of animals of many species. In this special course, she’ll give students an overview of the creation and evolution of this special approach so you can understand more fully how and why it works so successfully for all animals, no matter what health issues they may face. She’ll also guide you in a meditation, teaching you a practical mental technique to help you stay positive when working with a sick or injured animal. Do you love meditating with your animals but feel unsure about the best way to share this practice with their people? Do you teach Reiki or Animal Reiki and want to add animal-friendly meditations that respect animals’ preferences and sensitivities? Do you want to enhance your ability to learn from the wisdom of animals and help others to do so as well? If you answered yes to one or more of these questions, this 1-hour course is for you! Can’t be there live? No problem – you’ll receive video and audio downloads! Kathleen Prasad is an experienced educator with over twenty-four years teaching experience, and in this course, she’ll give you the tools to become confident and proficient in guiding Animal Reiki meditation for others. Open to all animal-lovers. This course teaches animal-friendly meditation practices and does not require formal Reiki training (however Reiki practitioners of all lineages welcomed!). Reiki III and Animal Reiki Teacher Training C.A.R.E. Held at C.A.R.E. Foundation, Apopka, FL, this class is for Level II Practitioners interested in learning to teach Reiki and Animal Reiki classes, and Level III Master Teachers interested in deepening their Reiki knowledge and/or adding an Animal Reiki program to their curriculum. Becoming a Shinpiden Level Practitioner is the beginning of a wonderful new chapter in your personal healing and in your journey with the animals. This class is unique in its emphasis on traditional Japanese Reiki techniques integrated into Animal Reiki practice. 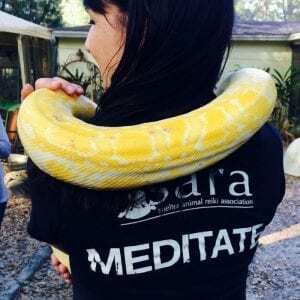 Join us on February 24th, 2019 for an awe-inspiring day of Animal Reiki meditation and heart to heart connections with the unusual and exotic animals of the CARE Foundation. Learn how to make a real difference in your community through Animal Reiki! This class is open to all levels of Reiki practitioners from all lineages.